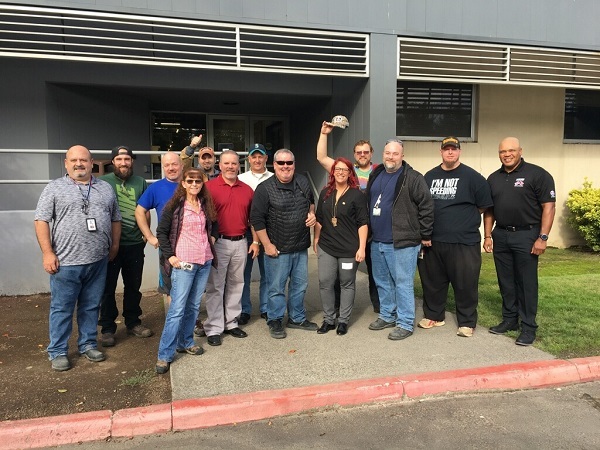 On September 22, nearly 100 workers at Precision Castparts in Portland, OR voted to join the IAM. The company makes heavy-duty metal components for airplanes, generators and other industrial products. The group of welders voted in favor of joining the IAM following changes implemented after the company was purchased by Warren Buffet’s Berkshire Hathaway Inc. early last year. Bringing more fairness in work rules, a safer environment and better compensation are among the reasons workers chose the IAM. “I’m tired of the double standards and lack of consistency when it comes to leadership enforcing company policies,” said welder Brett Clevidence. “The IAM will give me a safer and cleaner environment and crack down on major safety problems,” said welder Fred Collison. The new members now begin the process of negotiating their first IAM contract.